Well, my favorite colors are shaded of blues and greens and purples if I’m making something to wear. So I decided to stretch my color choices and I chose some Summer Sherbet colors to weave with…. White, Orange, Green & Yellow….with some variegated yarn and other bits added in as I weave…. I attended Terri’s showing at Artcraft on SSI and was so impressed with the banners and the way they were displayed. 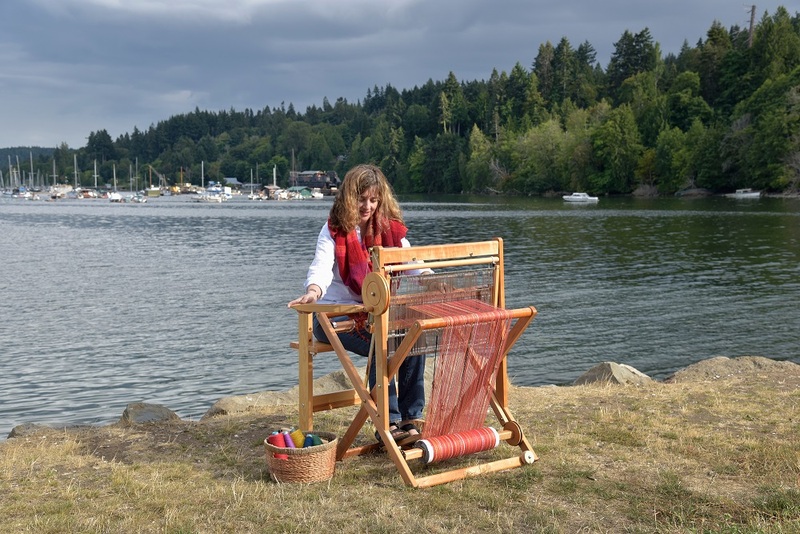 I also did some weaving in Terri’s studio while I was there and loved it so much I purchased a loom to take home to Edmonton with me so I could continue to do more projects. Thanks Franky! 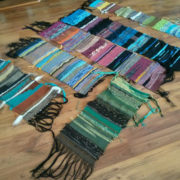 I hope you enjoy your loom – I love the weaving that you have done and look forward to seeing more of your creations!